Some of the oldest iOS gaming greats are still alive and kicking. Remember the early days of iPhone gaming? 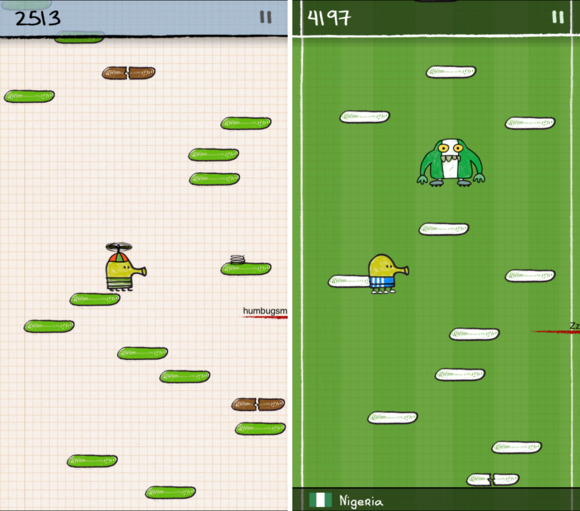 The App Store wasn’t nearly as jam-packed with ultra-slick freemium games, but we still had plenty of fun. Touchscreen gameplay was still new and unfamiliar, and the games were often raw and less polished—but that made for some brilliant and unexpected experiences that kept us tapping and swiping for ages. Some of those earliest hits are gone, swallowed up by the digital era as companies folded or licenses expired. Others, sadly, haven’t been updated in years and won’t even fill the screen on a recent iPhone. 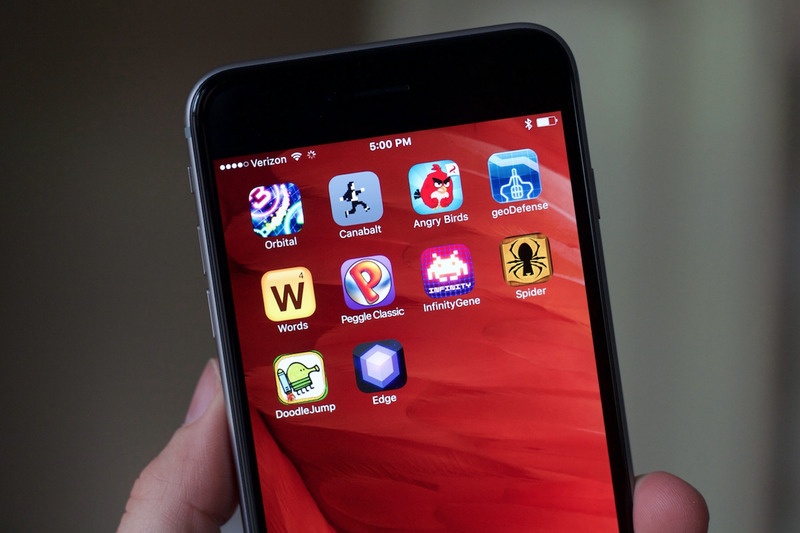 Luckily, many of the earliest App Store favorites are still great fun today and warrant a fresh look—whether it’s a return trip or your first time. 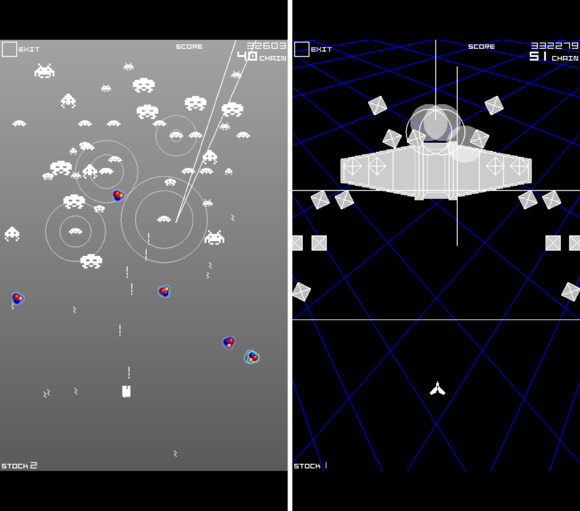 Here are 10 iPhone classics from 2008 and 2009 that are still worth playing today. Ah, the game that launched a million endless runners. True, Canabalt ($3) might not have single-handedly invented the runner genre, but it was the first real smash, delivering a startlingly intense experience despite the simplistic pixel graphics and teeny-tiny character. Even today, it’s great fun, testing your reflexes at a constant clip as you try to leap between rooftops, into tight office windows, and over fast-falling alien ships. 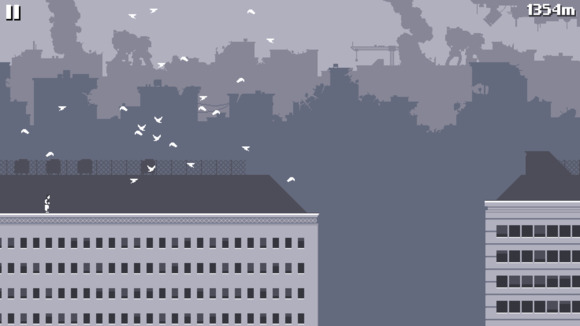 In fact, while Canabalt has kept its core simplicity, the game has grown over the years: Now it has several alternate game modes that tweak the hazards you’ll face, along with multiple runners to choose from. It’s still monochrome and delightfully tough, however. Angry Birds ($1) might be the most obvious pick on this list, if only for its incredible scale of its success: The series’ games have been downloaded more than a billion times in total, the brand encompasses no less than 15 games now, and there’s even a big Hollywood animated movie on the way. And all of that success spawned from one 2009 game that totally blew up out of nowhere. 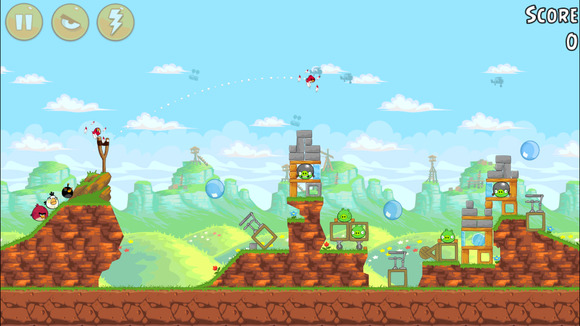 The pull-and-fling fun endures, and if you haven’t played the original Angry Birds in a long time, you might be surprised: Rovio continually updated the game over the years and added in loads of new content for free. That means you can jump in now and play more than 500 levels for just a buck, although the game has sadly been pumped full of premium power-up prompts. Unlike Angry Birds, Doodle Jump ($1) didn’t spawn an ongoing run of sequels and spinoffs, nor was it quite the ubiquitous merchandising juggernaut—but once upon a time, it was the biggest thing on the App Store. And while the gameplay hasn’t really changed or evolved since, aside from the introduction of new visual skins, it’s still a great, casual time-killer. As always, the goal is to guide Doodle the Doodler (yes, really) ever upwards by bouncing from platform to platform, grabbing as many helpful power-ups you can while avoiding broken landing spots and dead air and blasting any enemies. That kind of pure, straightforward arcade fun endures today, and the high-score chase still satisfies. Critical Thought Games’ geoDefense ($2) holds a special place in my heart—it was my very first, no-doubt iPhone obsession. I vividly recall playing it daily for weeks and weeks, frequently delaying my bedtime as “one more game” before shut-eye ended up being an hour or more of lost sleep. And thanks to a long-awaited update in late 2014, it’s playable in full-screen on newer iPhones. 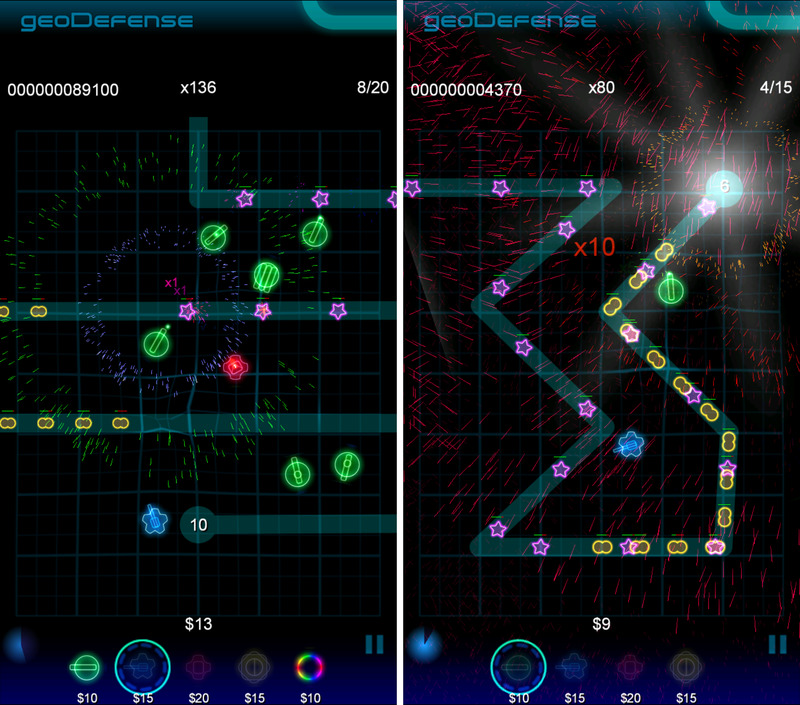 As the title suggests, geoDefense is a take on tower defense using simple geometric shapes as enemies, and what the game lacks in setting or characters is made up for by intelligent tactical play and an array of super-tough stages. It really doesn’t look like much in screenshots, but if you love a brain-teasing strategy game, geoDefense is still one of tower defense’s best. 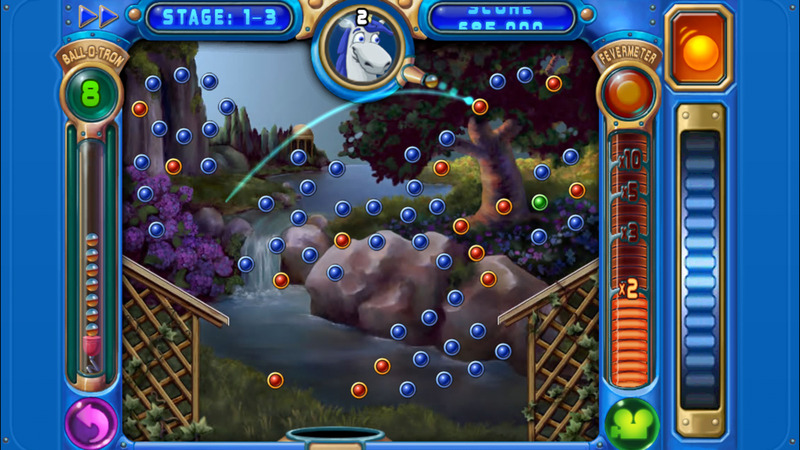 Peggle didn’t begin life on iPhone, but PopCap’s casual classic is an essential play on any device you can get it on—and I say this having played through it on at least five different platforms, including an iPod Classic. The pachinko-inspired game is a delight, tasking you with clearing all of the orange pegs through a combination of skill and chance, and then soaking in the glorious praise heaped upon you in victory. There is one caveat: Peggle Classic ($1) hasn’t been optimized for larger iPhones, so the image is stretched a bit and not super-sharp. Still, the game remains excellent, and the Peggle Nights expansion sold within is just as great. And in any case, Peggle Classic remains undoubtedly better than the free-to-play Peggle Blast. We’ve seen a fair number of retro game ports on the App Store, and not every one has made a perfect transition to touch. However, back in 2009, Taito thought differently: Rather than port over the (now) nearly 40-year-old arcade shooter, why not evolve the experience and build something new and exciting for a new generation? That’s what they did, and it’s superb. Space Invaders: Infinity Gene ($5) is still essentially about blasting rows and waves of aliens with your little ship, but now the game transforms as you progress through the campaign, with new types of enemies and attacks, as well as presentational shifts and a lot of great music to match. The game doesn’t take up the full frame on widescreen phones, but that doesn’t diminish the fun here. Edge ($3) endures after seven and a half years of life, and has been steadily updated to stay current (there’s a sequel too)—but it almost wasn’t that way. Due to a back-and-forth legal battle with a notorious trademark troll, the game was pulled from the App Store a couple times and even renamed on multiple occasions. Thankfully, that’s all settled, and Edge is still a lot of fun. 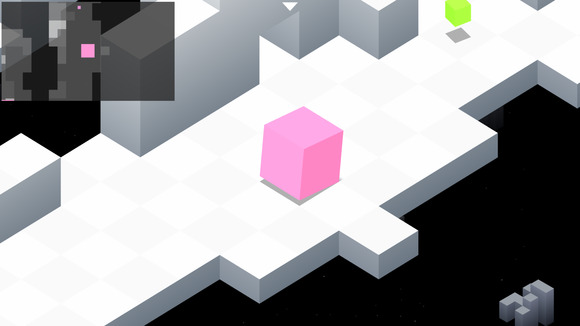 It’s a touch-enhanced puzzler in which you’ll guide a rolling (well, flopping) box around geometric worlds, grabbing colorful cubes, flipping switches, and avoiding game-ending drops. The subtle controls let you carefully navigate tricky areas and even hang off of edges, and the game still has an awesome, one-of-a-kind look even after all this time. Surely one of the all-time great iPhone high-score chasers, Orbital ($3) challenges you to keep shooting balls into a tight game board—and once each stops bouncing, it expands until it touches something else. Each new ball shows a “3,” which is how many times you need to hit it with another ball to clear it from view and make some more space. And so it goes, as you carefully shoot more and more balls into the limited space while trying to clear the ones already there, all the while ensuring one doesn’t bounce the wrong way and end up below the line. 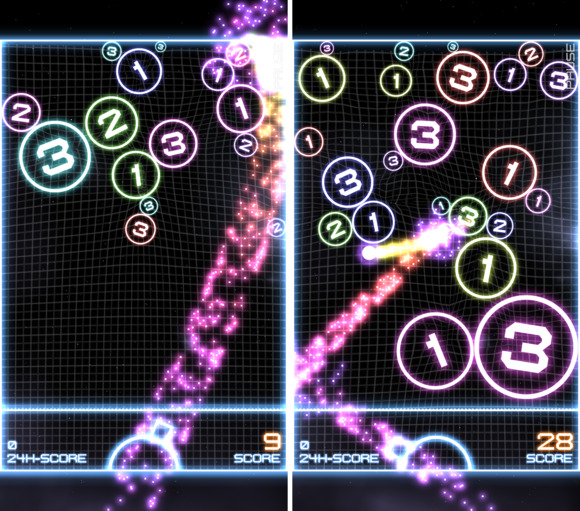 The bright, sparkly graphics still look neat today, and different play modes (each with its own score leaderboard) offer a couple of variations on the fun core theme. 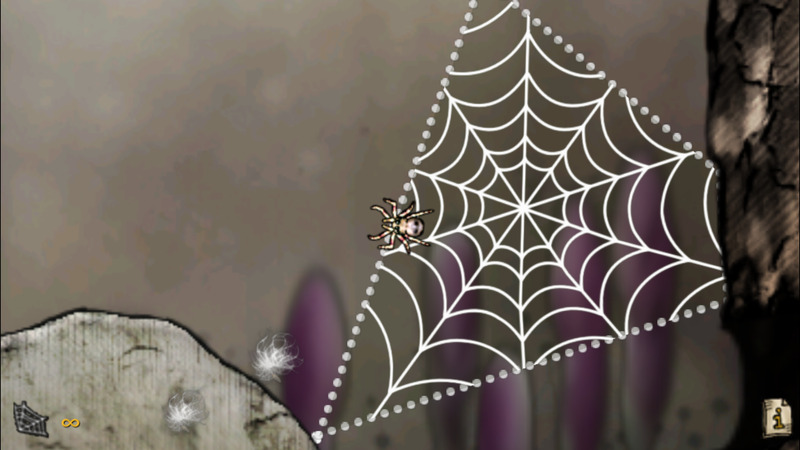 The memorable Spider: The Secret of Bryce Manor ($2) tasks you with guiding the titular arachnid around rooms and yards, as you spin webs by zipping it around each setting. 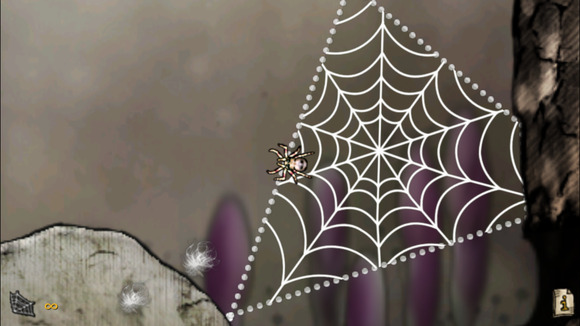 But there’s more to it than just building webs to catch insect prey: as the name suggests, there’s also a mystery hiding within these walls, and it comes together slowly over the course of the 38 hand-drawn levels. That added allure is a large part of the reason why The Secret of Bryce Manor remains compelling after all this time, although it’s a shame that the game isn’t optimized for iPhone 6 devices. A sequel, Spider: Rite of the Shrouded Moon, actually released in 2015—years after the original. Unfortunately, it doesn’t sound like the follow-up was a sales success. 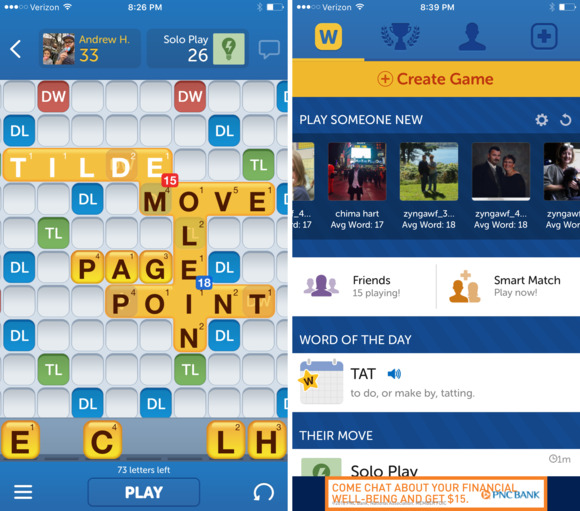 Once upon a time, Words With Friends (free) seemed like the biggest mobile multiplayer game in the world, as the asynchronous turn-based approach was perfect for on-the-go play and fans often juggled several games at once. Now under Zynga’s command, it’s not quite the juggernaut it once was, but you might find that a lot of your friends still play regularly. And if you’re still up for a game of off-brand Scrabble on your own time, why not join them? Back in 2014, it was briefly rebooted with a fresh interface as “New Words With Friends,” but now it’s just plain ol’ Words With Friends again. Shame about the heavier load of full-screen ads in the game, however, with a whopping $10 fee to remove them altogether.